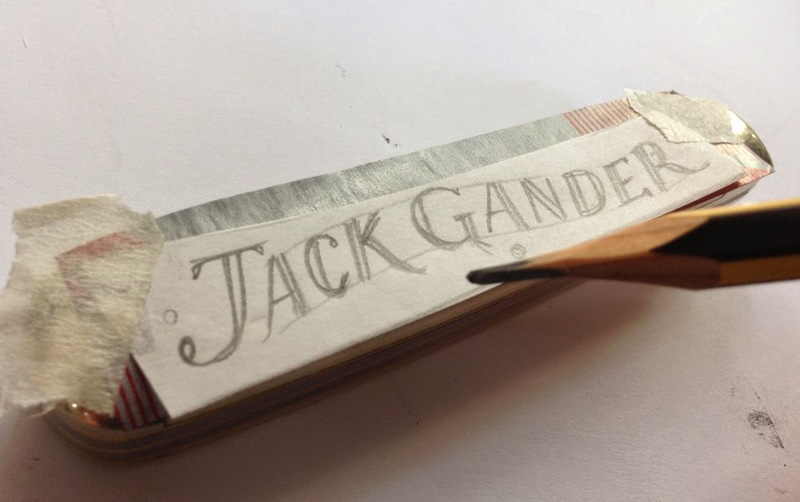 The pencilled design sits atop the provided carbon paper, held in place with masking tape. 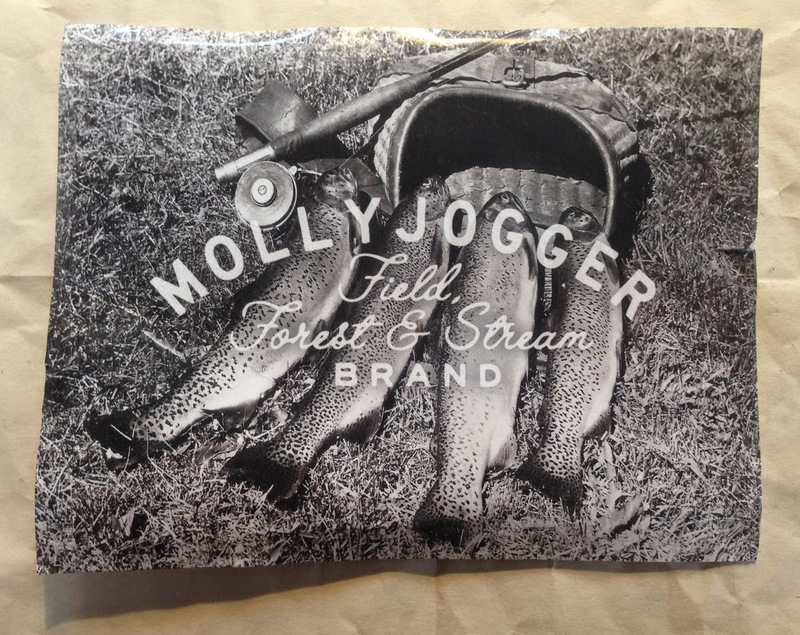 The first attempts were scratched in and ink applied, but I needed a stronger cut! 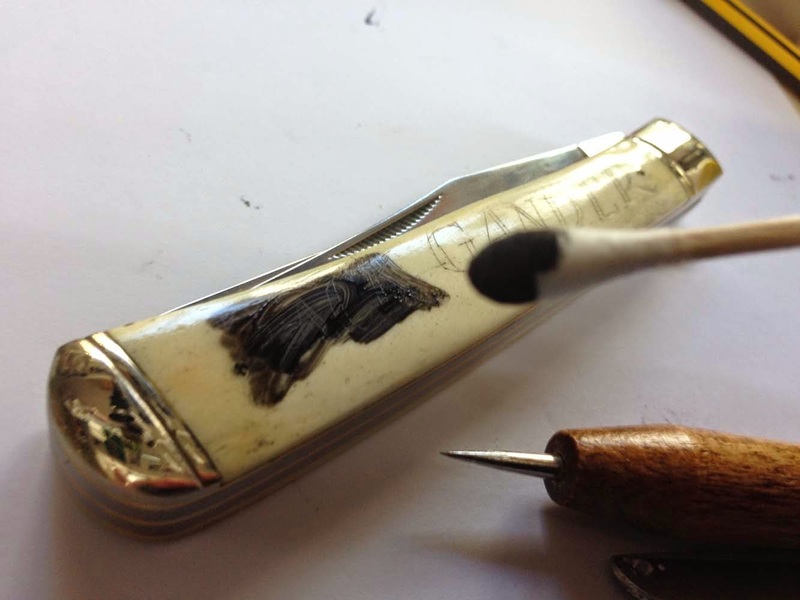 Applying more ink via the cotton bud, which is then buffed away. 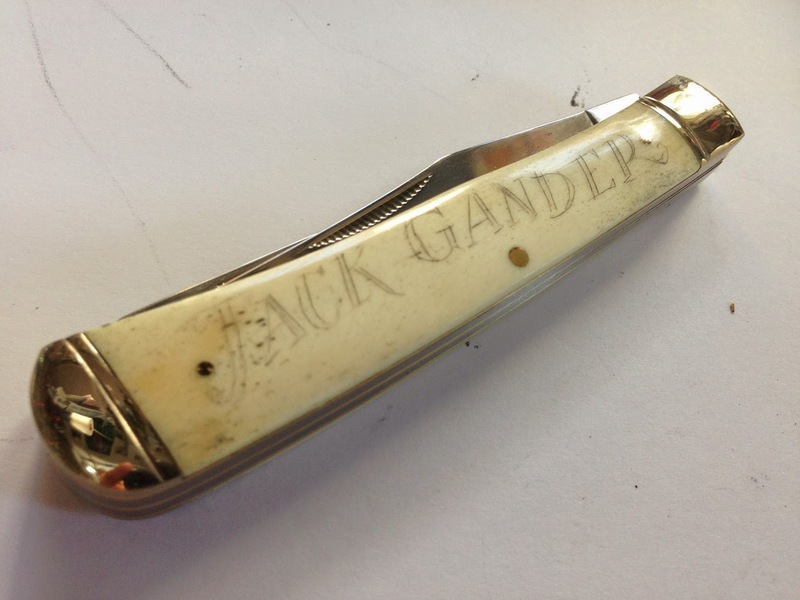 Engraving tool, bottom right. 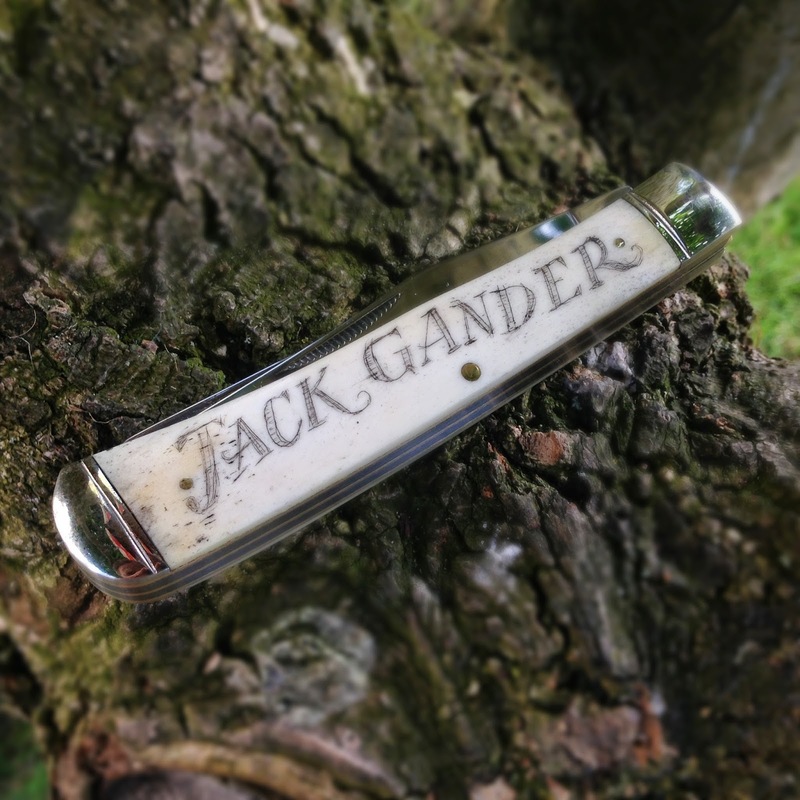 The final result, a ‘Trapper’s Knife’ fit for a 14 year-old. 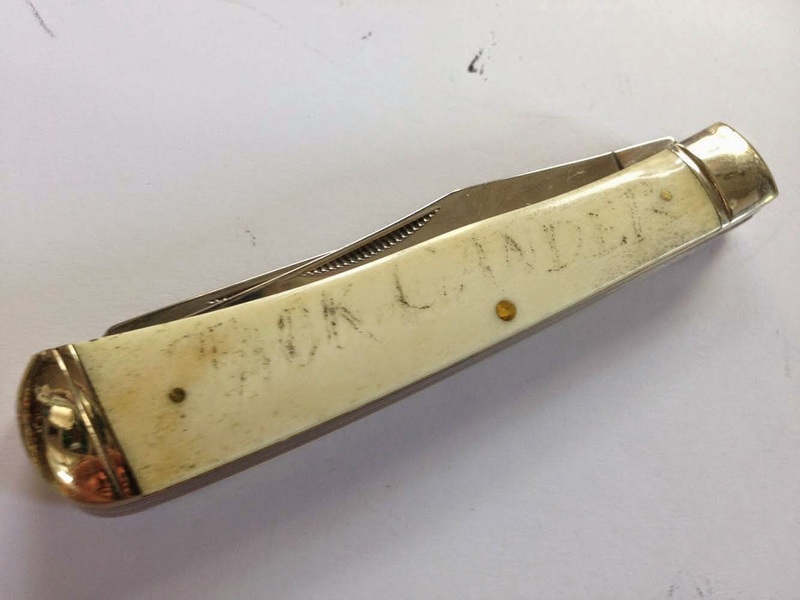 I have long been a fan of the art of the ‘Scrimshander’, the sea-faring sailor scriber of scenes and voyages of the whaling era who used a sewing needle or knife to carve out intricate artworks onto the teeth of the whales they hunted. 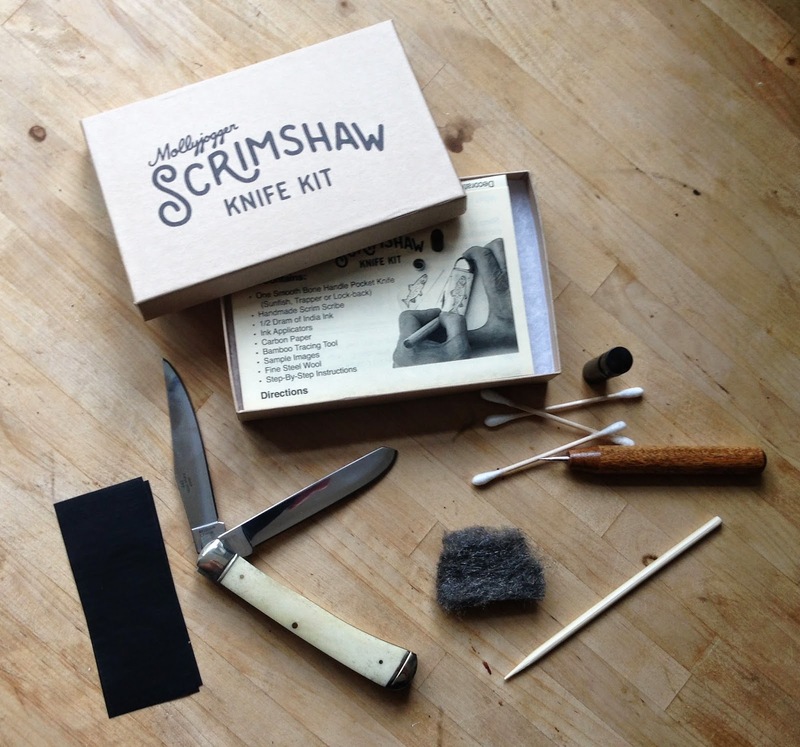 ‘Scrimshaw’ has also been applied to bone (as I did here), ivory and horn. 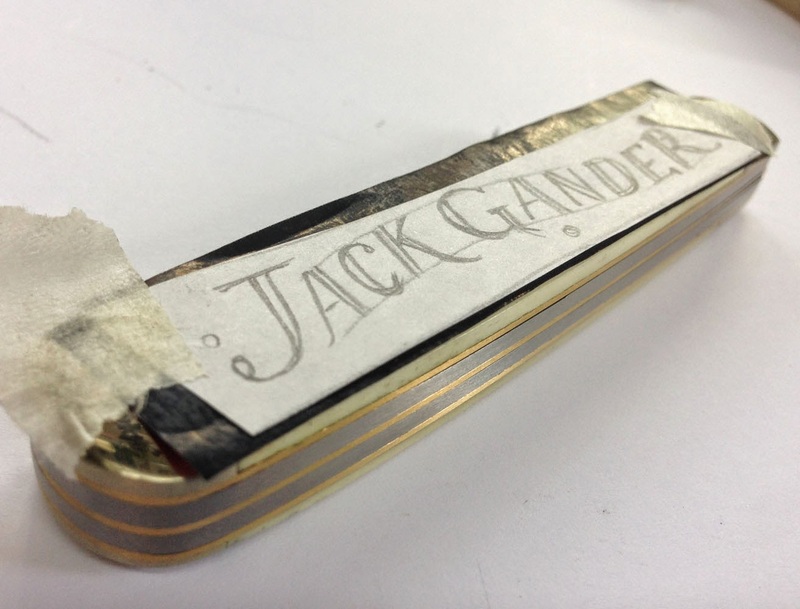 Sailors often used squid ink to colour their engraved lines and the principle of inking a cut line applies to the various forms of the scrimshanders’ art to this day. 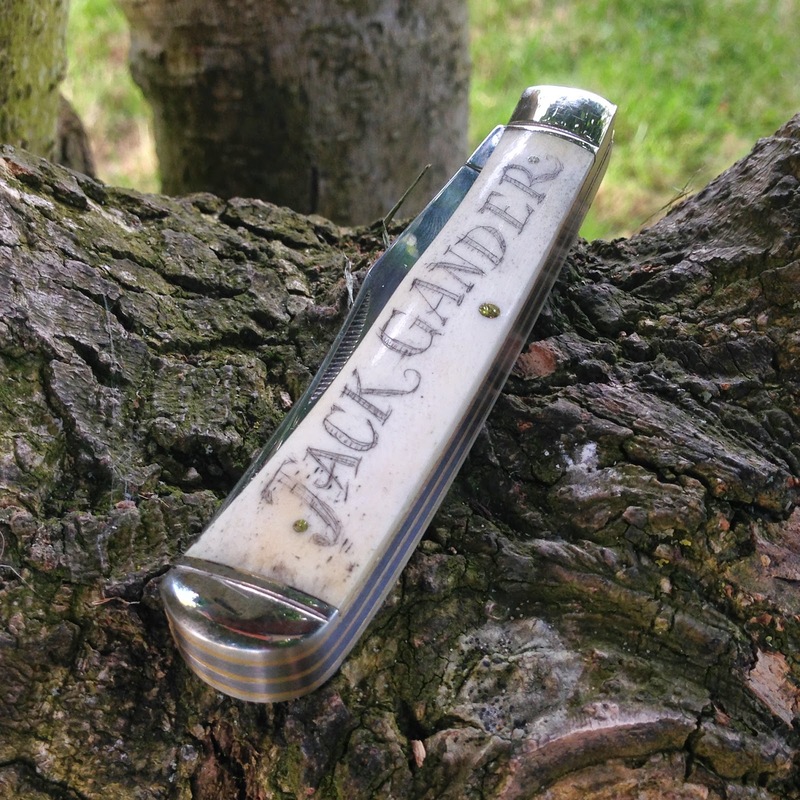 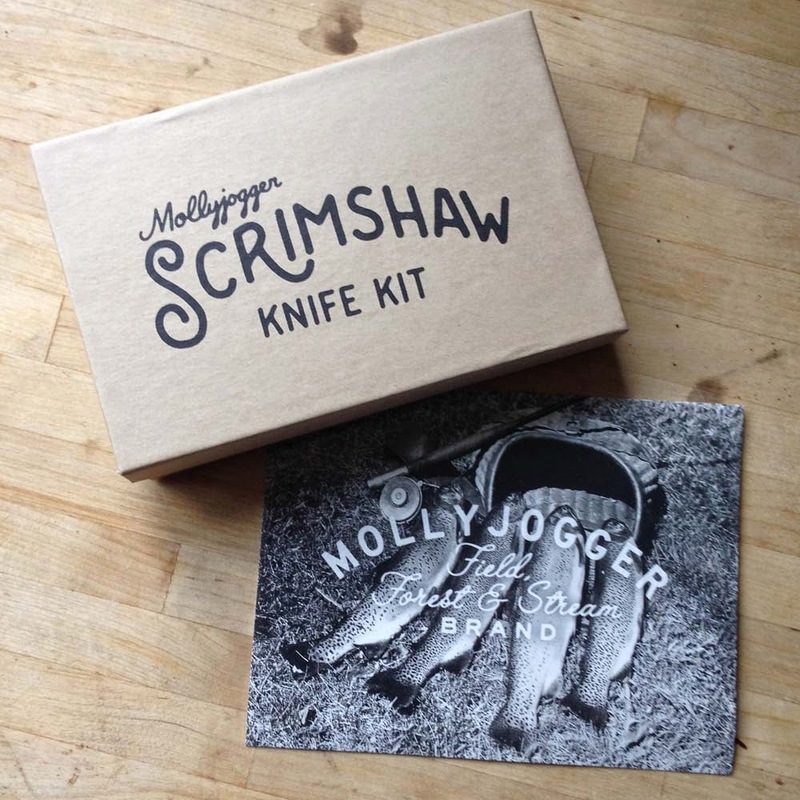 I was looking for a creative way of personalising a penknife for my son Jack so when I googled ‘scrimshaw’ and ‘knife’ together, my prayers were answered in the form of mollyjogger.com And not only was the scrimshaw connection fruitful but I was also much taken by the fishing provenance as I am a keen fly fisherman too. 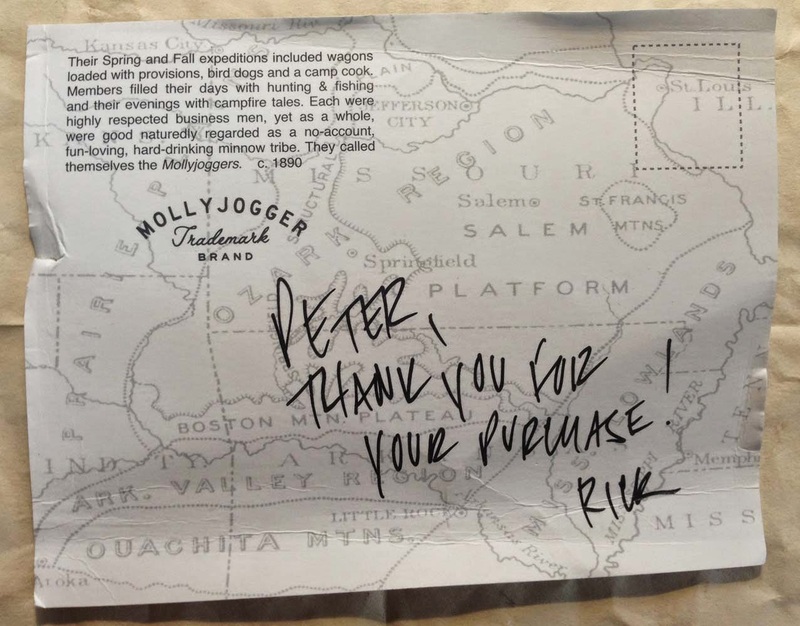 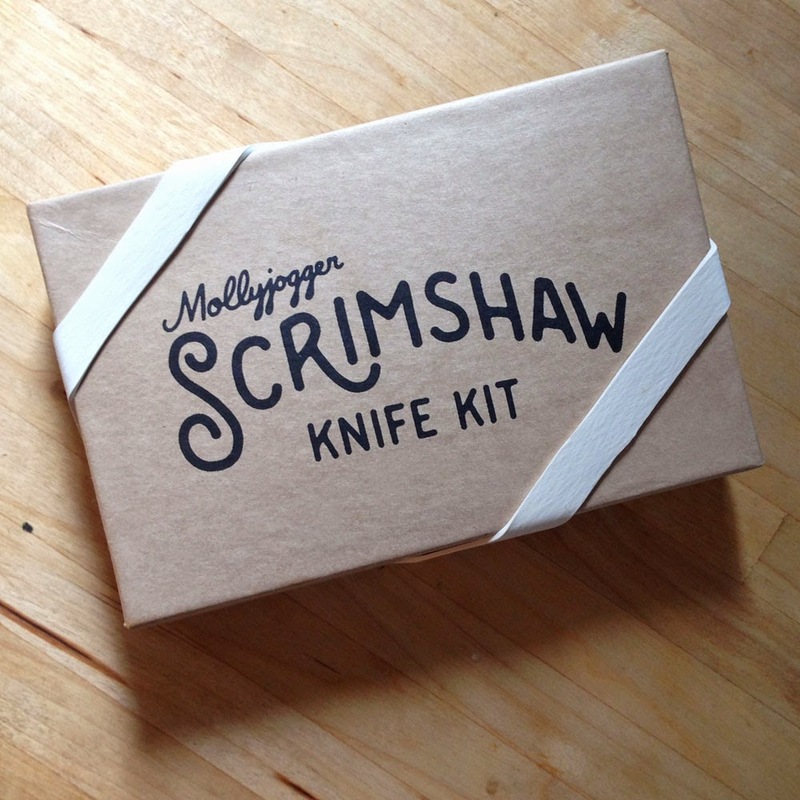 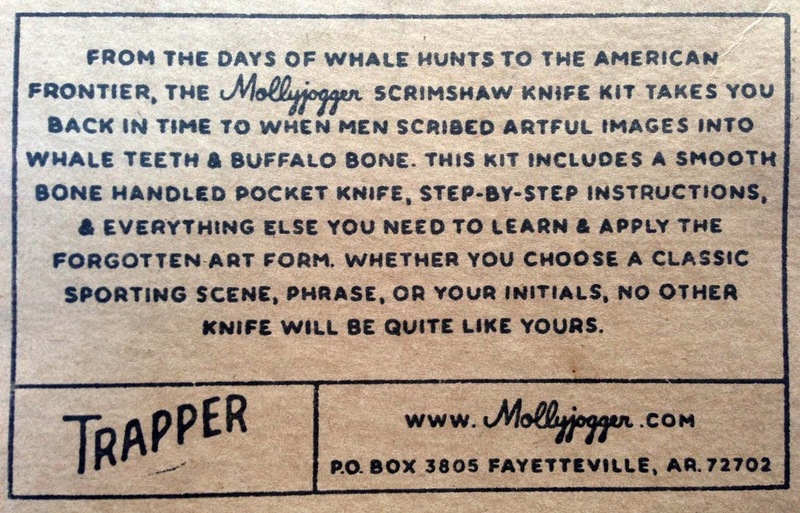 The Mollyjogger Scrimshaw Kit came with a lovey, bone-clad two-bladed foldable knife, scribing tool, ink, carbon, steel wool, ink applicators and a sheet of huntin’ & fishin’ images too, with instructions. 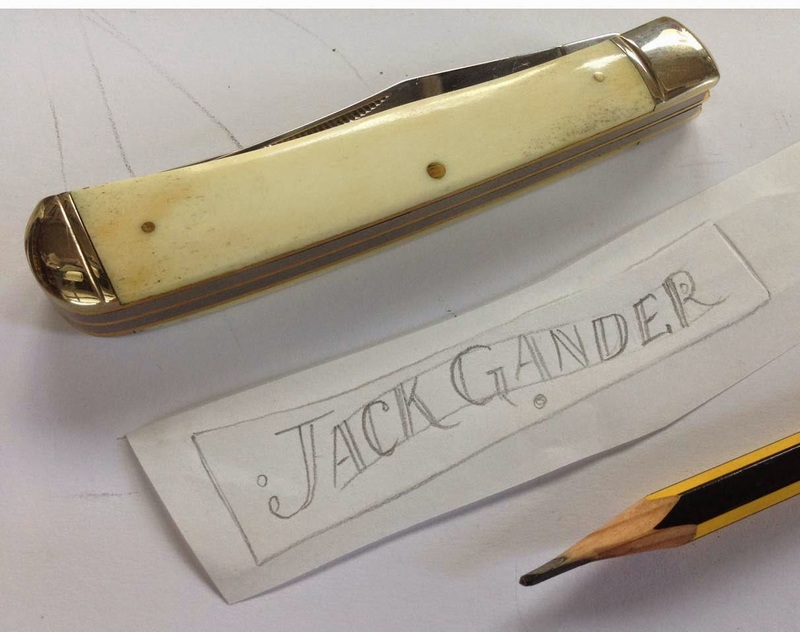 I wouldn’t say it was easy, carving into bone is like scratching onto stone, there is no yielding surface like a sheet of lino! 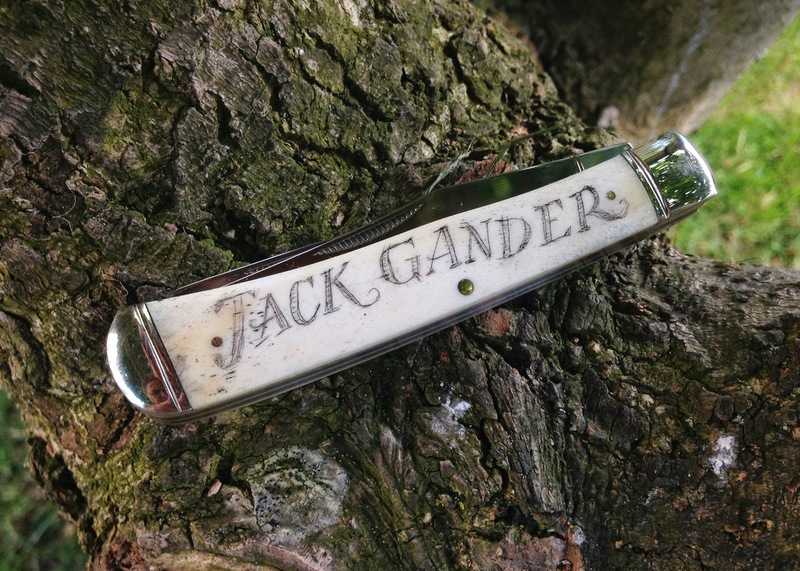 Also, bone has porous areas close to the surface (visible in the last photo) where ink will seep into the cavities, which are hard to erase and repeated inking will just make these spots darker and darker, so this is certainly a case of applying the ‘less is more’ approach. 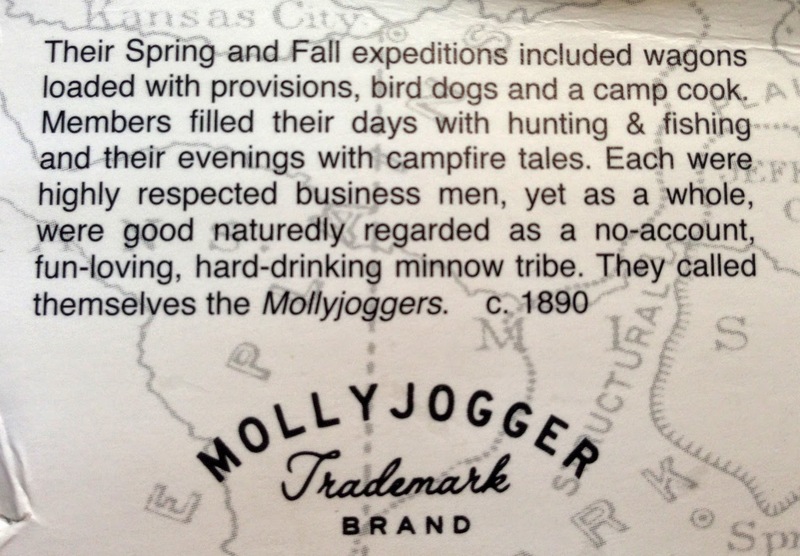 Be bold but brief. 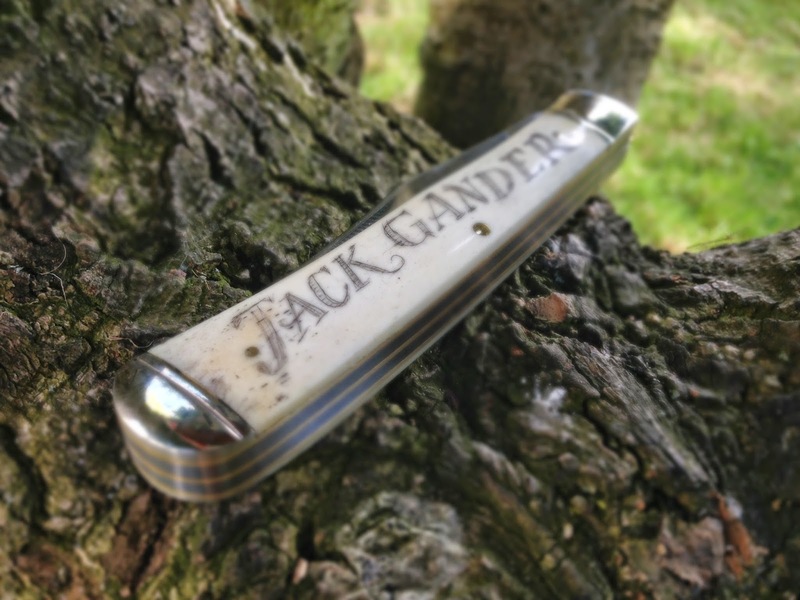 However, after engraving the letters a few times and re-applying and rebuffing the ink, the end result, I thought, was characterful and satisfying and my son Jack was elated with the gift.